Hey guys! I'm back again with another Tasty Tuesday! I do alter my recipes to fit my own tastes, so please also feel free to refer back to the original recipe at the bottom of the post to see what I may have eliminated. Most of my recipes are Weight Watcher friendly, but don't let that scare you away. They are actually really good. I've also found some great websites like Skinny Kitchen and Skinny Taste that I use a lot too. Most of my recipes have some kick to them, so if you are not a big spicy person, adjust the spices to better fit your tastes. OH. And all of the meals I cook are really easy to prepare. I'm not big on difficult meals. 1. Stir vinegar, oil, oregano, salt/pepper until blended. Brush mix onto 1 side of each slice of bread. 2. Layer 1/4 cheese over bread and top with tomato and basil. Top with bread and coat sandwiches with spray. 3. Grill and then rub grilled bread with clove. *I actually doubled the oil mix because the first time I made it, there wasn't enough to brush onto the bread. *The Alexia fries shown above are only 3 pts for 12 fries. I am totally using this recipe! 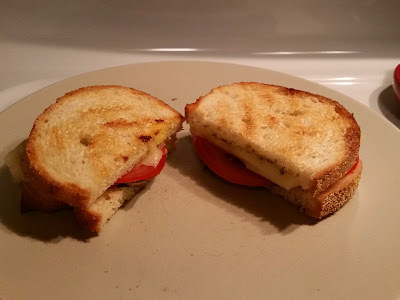 Mozzarella paninis are one of my favorite things! Wooo! I'm actually going to get you to cook one of my recipes?! ;) Haha, I'm kidding! It's so easy. You'll love it. Yum, sandwiches are some of my favorite foods. As long as it has avocado, I want it. And if it doesn't, I'll add it. This looks yummy! Ooh, I bet avocado would be a good addition to this! I'm not a HUGE avocado fan *hides*, but I can see where it would really taste good with the tomato and mozzarella! 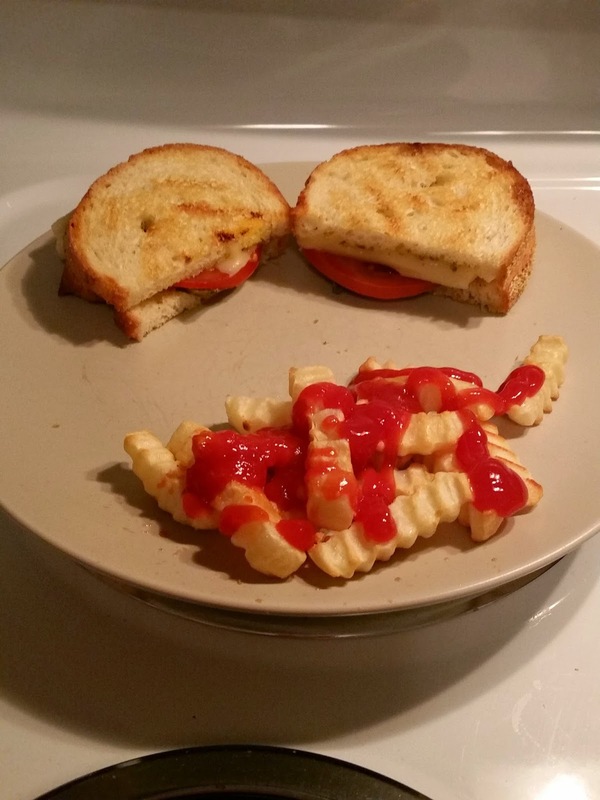 I love me some paninis aaaand....now I'm hungry. Sigh. I'm starting to dread Tuesdays and your yummy posts :) I'm with Nereyda though this sounds like it'd be delicious with avocado added! Hahaha. I really should switch to Savory Sunday or something so you guys can see the recipe before grocery shopping for the week! Then you can make it too! Rofl. HAHAHA. ME TOO. I am so bad because I love mozzarella to death. Hehehe. Def try this Wendy. It's beyond easy and takes like 5 minutes to do. Hmmmm, I love mozzarella, so this sandwhich is something I'd love to try for sure! !